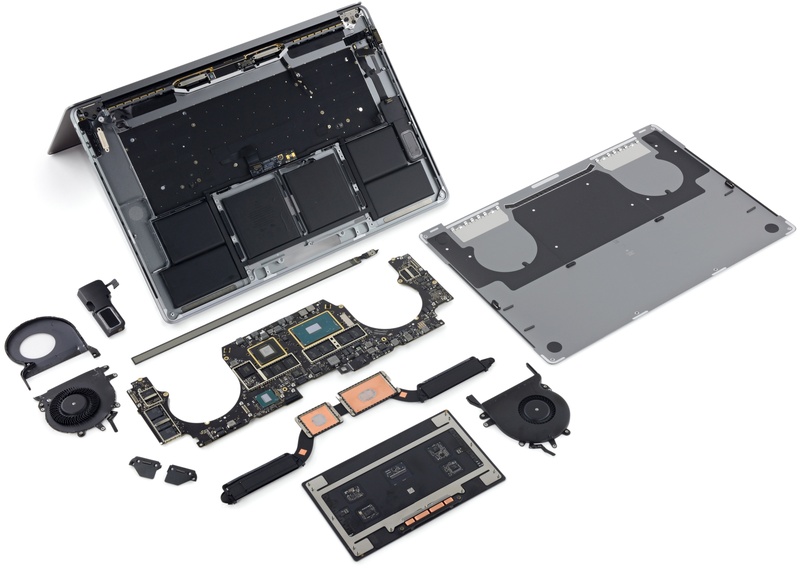 iFixit on Friday published its teardown analysis of the 15-inch MacBook Pro with Touch Bar (model number A1707), just two days after taking a peek under the hood of the 13-inch MacBook Pro with Touch Bar. 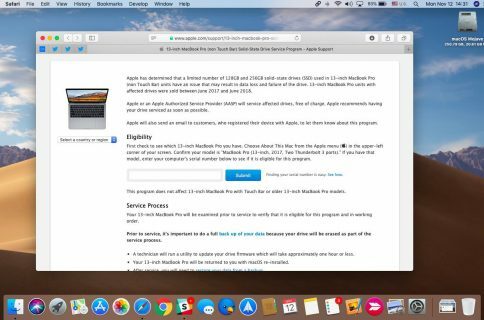 Comparing the two Touch Bar-equipped notebooks to the 13-inch MacBook Pro without Touch Bar, which iFixit also disassembled, the repair site has confirmed that only the baseline 13-incher with a standard row of function keys has a removable SSD. Like on the 13-incher, this machine’s processor, RAM and flash memory are soldered to the logic board, meaning that the SSD is impossible to remove or upgrade. 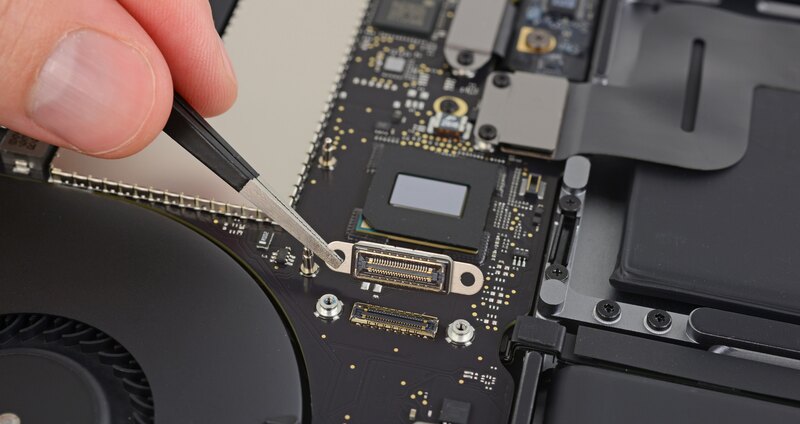 Curiously enough, iFixit has discovered a hidden connector inside the machine that leads “nowhere,” speculating it could be for SSD data rescue in case of hardware failure. We’d still rather see a removable/upgradeable SSD, particularly in a machine targeted at pros—but this way if your logic board bites the dust, there might at least be a chance of recovering your data with Apple’s help. Keep making those backups though. The same connector was found in the 13-inch MacBook Pro with Touch Bar. 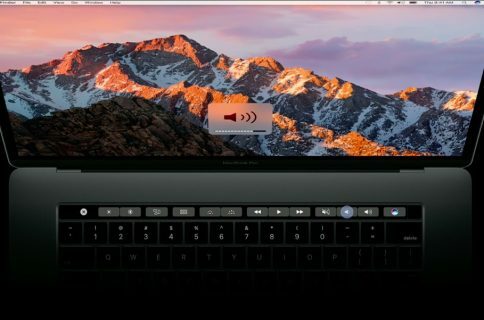 The trackpad on the 15-inch MacBook Pro with Touch Bar is twice the size of its predecessor and it’s so large that Apple had to throw in an extra Broadcom touch controller integrated circuitry to handle all of that extra touchable glass. Like its 13-inch variant, the 15-inch notebook’s speaker grille holes are mostly for symmetric styling and don’t go all the way through. While medium to high frequencies are indeed pushed through the grille holes from a tweeter located underneath, low-bass sounds are directed through the long air intake vents under the left and right sides and reflected on the surface of the desk. Apple’s reengineered thermal architecture includes fans with redesigned blades. On the 15-incher, the blades are “marginally larger” than their counterparts from the 13-inch Touch Bar model, measuring in at 46.6 mm compared to 42.3 mm. The battery has a different six-cell battery layout versus one in the 13-incher. 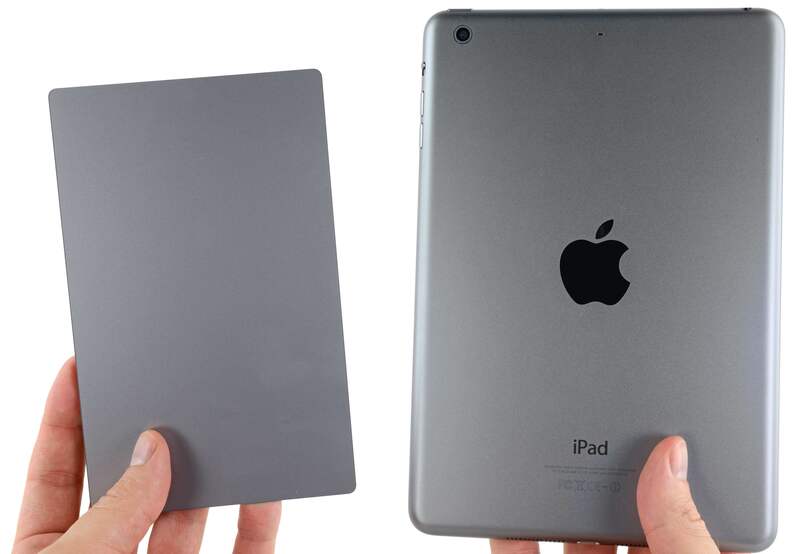 Here’s the notebook’s trackpad compared to the iPad mini. 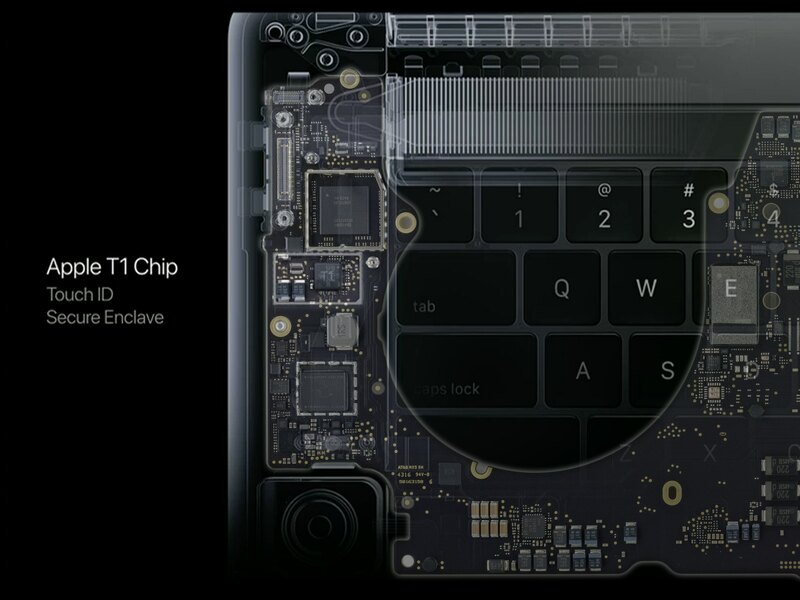 And here’s a closeup of the Apple-designed T1 chip that handles Touch ID/Apple Pay/webcam security an drives the Touch Bar, as seen on the notebook’s mustache-shaped logic board overlaid on top of Apple’s promotional graphics. It’s basically the same spot that Apple’s marketing materials claim the T1 chip is. To iFixit, that came as something of a surprise considering there’s three similar chips peppered over the rest of the logic board. In addition to both the 13 and 15-inch Touch Bar-outfitted machines not having a removable SSD, they also have non-upgradeable RAM and have their battery “solidly glued down”, which greatly inhibits repairs and recycling. 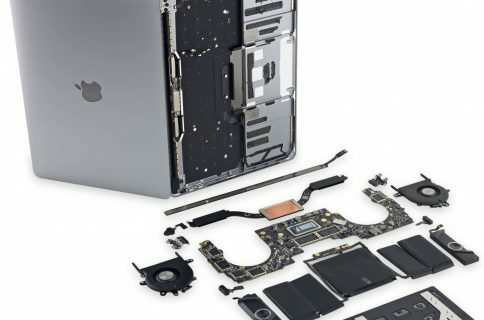 iFixit gave both the 13 and 15-inch MacBook Pro a 1/10 on its repairability scale.